*Please use part number, DIS-3000 for the aluminum cased D200. The innovative trends at Powertrain Control Solutions continue with our D200. This fully programmable monitoring, data logging, and analysis system can bring together the information on a vehicle from several input sources. Drag race, circle track, road race, and even street cars benefit from the D200 which can combine any set of inputs into one unit. 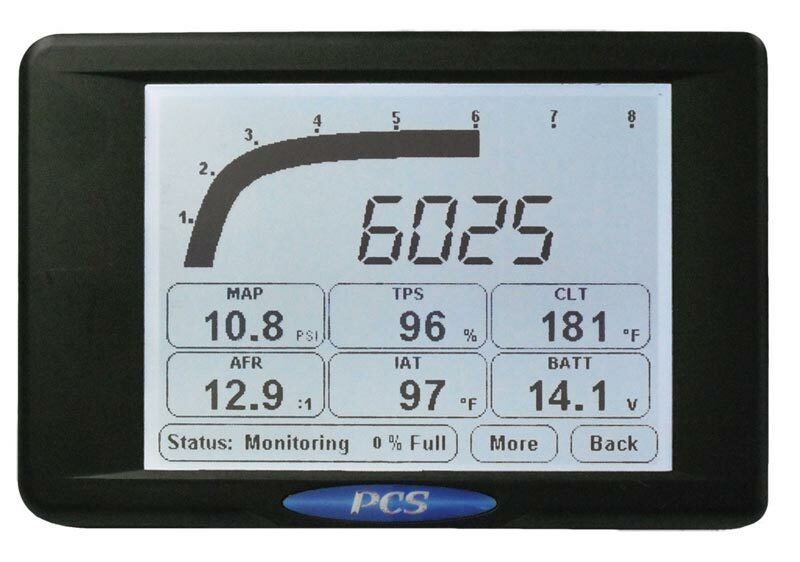 Want to bring together the information from your Lambda meter, aftermarket ECU, and transmission controller, or do you need a stand-alone data acquisition system? Either way, the D200 is your answer. These powerful attributes coupled with a large and easily viewable, even in direct sunlight, LCD touchscreen break new ground. Most recent D200 firmware. We recommend downloading the software with the firmware. Most recent D200 software and firmware. D200 USB drivers for Windows XP/Vista/7/8/10. 32-bit/64-bit.